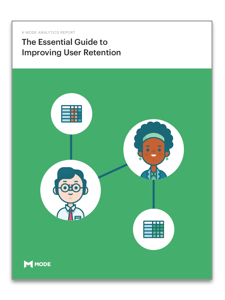 Understanding—and improving—your user retention rate is one of the most powerful ways to deliver value and grow your business. Go beyond run-of-the-mill retention calculations to find actionable insights. Get access to the guide here. Thanks! Check your email for a link to the eBook. How long do users stick around? Is retention improving? What type of user should we target during acquisition? What product features create value for our customers? Bonus: Gain access to 3 customizable analyses that work with your data.